Earlier today, we put up Ben’s footage from the London Film & Comic Con on the Dredd panel where one fan asked a question about the costume changes. Writer Alex Garland did a fantastic job explaining why they changed the costumes to accommodate the shooting and action sequences and you can see there bit here. But, we’ve been asked to put the whole panel up and we can now oblige. For your viewing pleasure and ahead of what you’ll probably see a lot of at Comic Con, here is the full 30 minute panel from London Film & Comic Con 2012. Who says you need to go to San Diego for good Comic Book movie content?! On the panel are Producer, Allon Reich (28 days later); Concept Artist, Jock (Battleship); Screenwriter, Alex Garland (28 days later, The Beach) and Dredd himself, Karl Urban (Lord of the Rings). 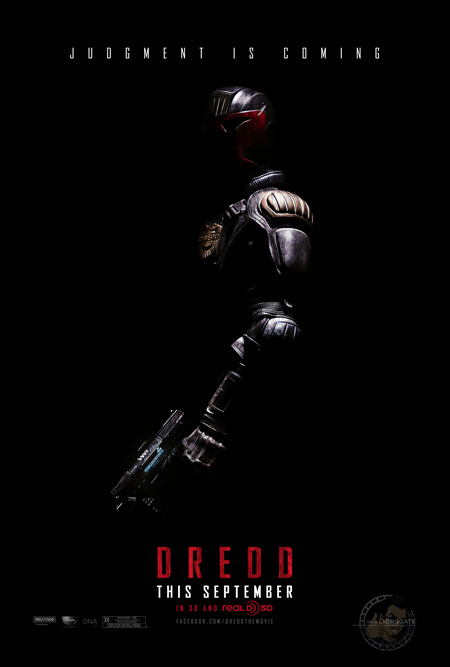 Dredd is released in the UK September 7th. Garland talks in part 3 about possible sequels. He states that if the movies grosses more than $50m in the US, a sequel will be made. He goes on to talk about what those sequels would entail. Thanks to Premiere Scene for providing the footage.